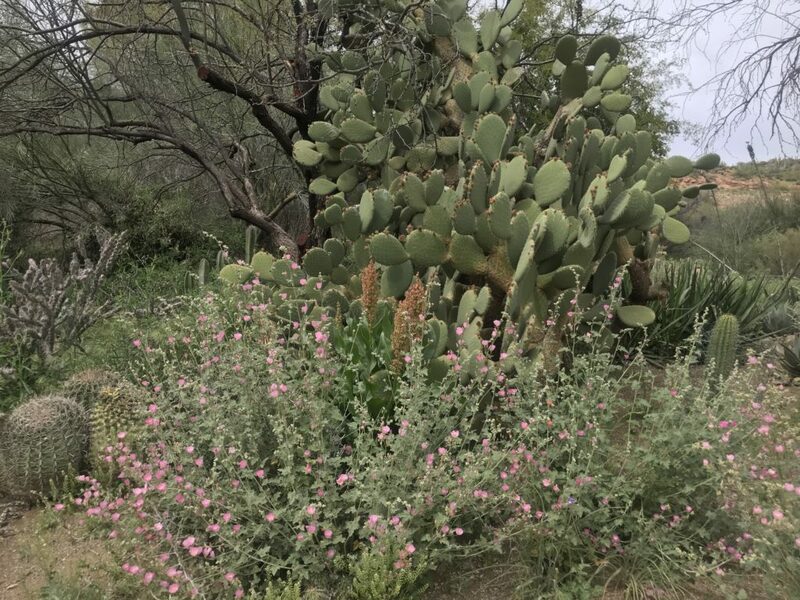 For a perfect day trip from Tucson (or Phoenix), you’ll be delighted if you visit The Boyce Thompson Arbetoreum. 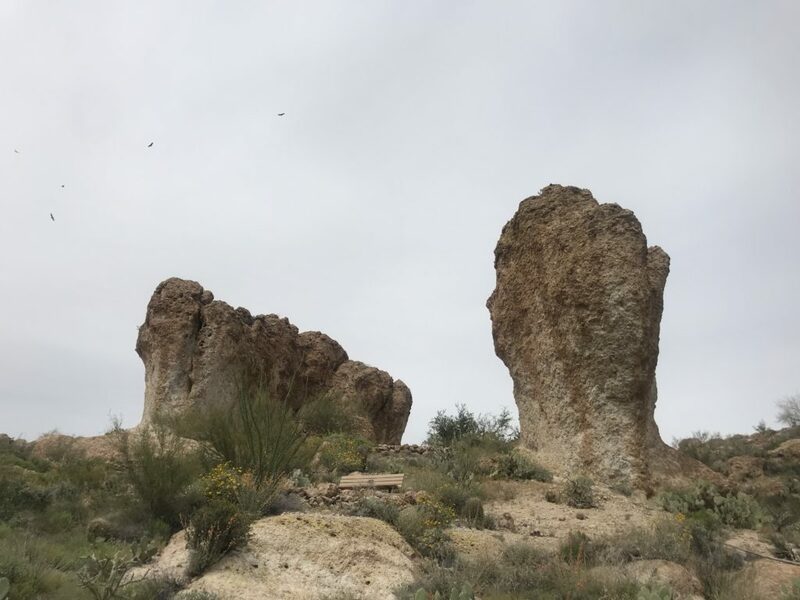 Sitting on 392 acres of lush desert just south of the town of Superior, the trails and plantings were begun in the 1924 by Colonel William Boyce Thompson . 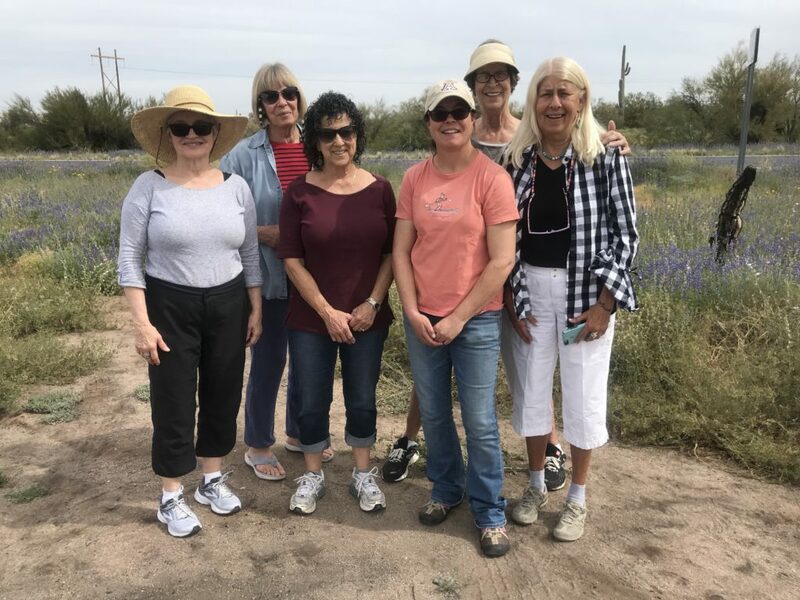 On a beautiful Spring day, seven of us took two vehicles on the 2-hour trek up from Tucson, using Highway 79 and making a pit stop at the Tom Mix Memorial. 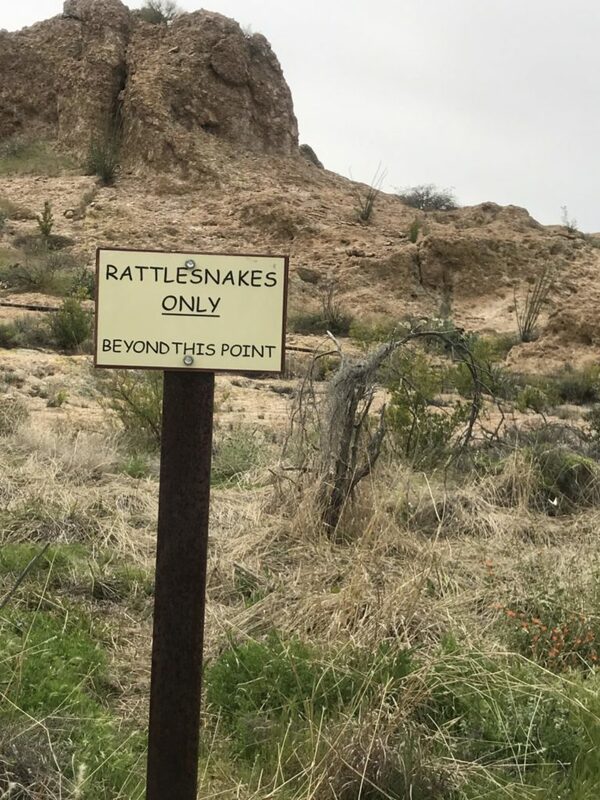 It’s only about an hour from Phoenix. We spent about three hours, meandering through the grounds. Trails are easy to follow. Even with the ups and downs, the trails are well maintained and easy for most anyone. The entrance fee is $15. We had taken lunches and there are plenty of places to sit and have a picnic. The initial mission of the Arboretum was to study the plants of desert countries and to make the results available to the public. It is now an Arizona State Park. 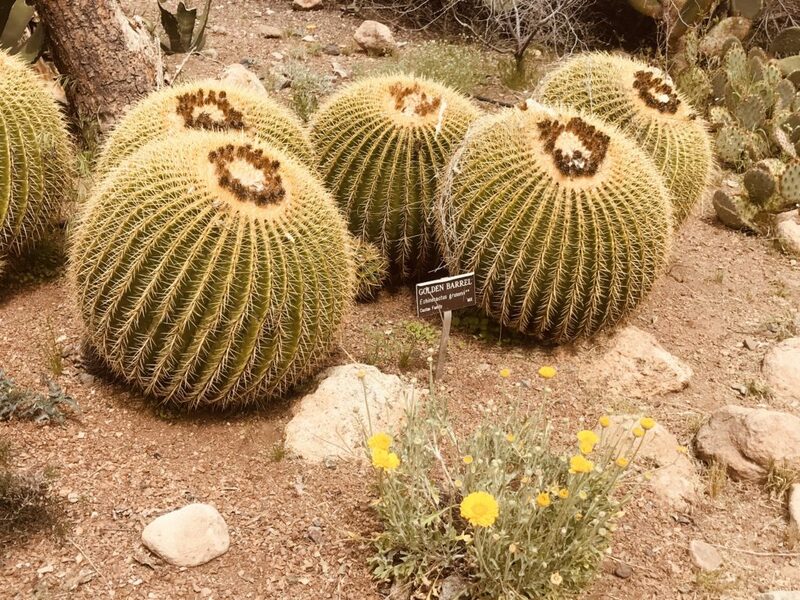 The Arboretum is Arizona’s oldest and largest botanical garden with 3900 spieces of plants. 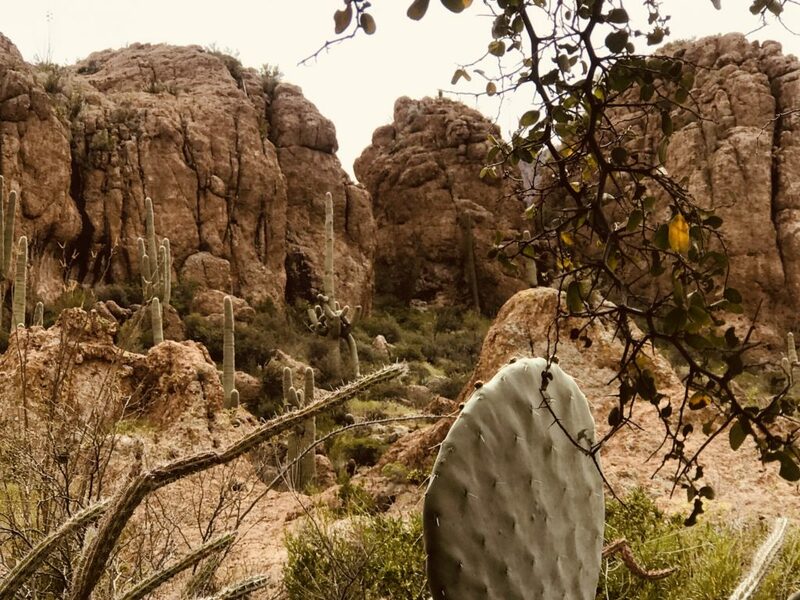 Featured are plants from the world’s deserts, towering trees, captivating cacti, sheet mountain cliffs, a streamside forest, panoramic vistas, many natural habitats with varied wildlife, a desert lake, a hidden canyon, specialty gardens, and more. 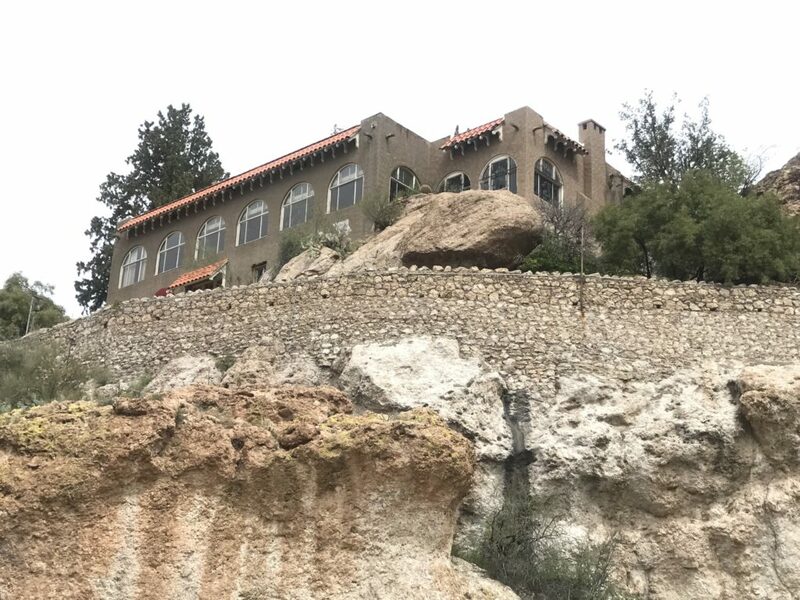 High above the desert floor, sits the home built in the 1920’s by Colonel William Boyce Thompson. It is not open to tour on the walking tour. 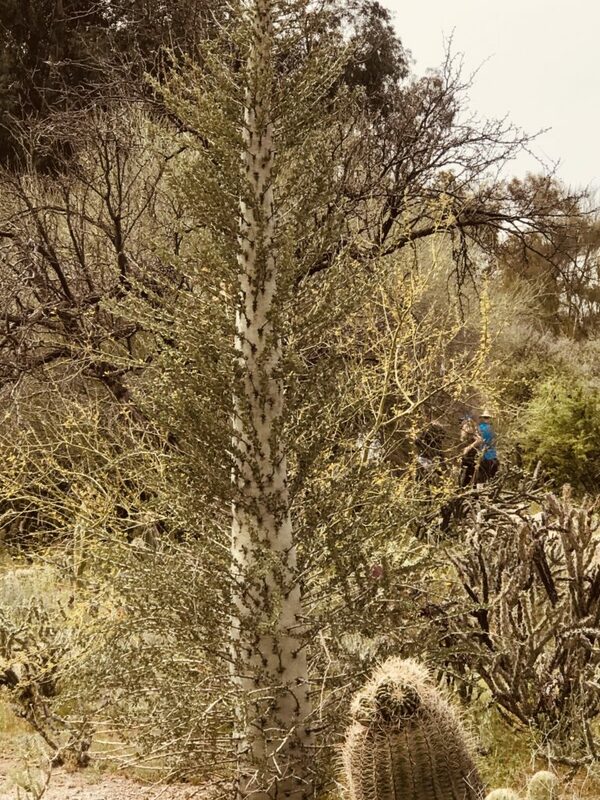 This is the hugest Boojum tree I have ever seen. There were about a dozen others but none this gigantic! They always remind me of something out of one of Dr. Suess’s books. This area of the park had plants from the California deserts. 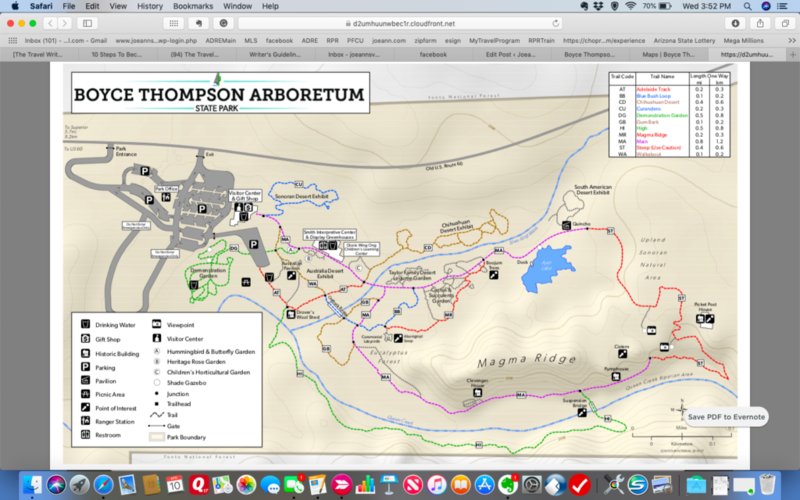 There are nine hiking trails totaling about 3 miles and seven gardens spread over the Arboretum. We were happy for the warm sunny weather that made exploring comfortable. But make sure you take lots of water! Many of the areas off the walking path were places you really wouldn’t want to explore. Some folks ahead of us below the Picket Post House saw a rattlesnake right off the trail. By the time we got there, it had skedaddled into the underbrush. We all tread a bit more consciously after that. There is a gift shop filled with artwork, plants and books. I didn’t get out without finding some presents for the grandkids. Next time they will have to come. There were tables filled with small plants and larger potted plants available for sale. Some of my compadres bought small plants to bring home. 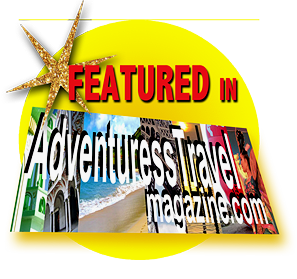 Explore Arizona….you’ll be glad you did! Nice blog Joeann. Makes me want to visit.